October is National Substance Use Disorder Prevention Month and for the last two years, the Charlestown Coalition has partnered with Clarence D. Edwards Middle School to host a series of educational and preventative activities for students. In the beginning of the month, students receive pre-surveys created with the assistance of MGH Center for Community Health Improvement’s Evaluations Team. The surveys assess student knowledge of and opinions towards substance use. After this assessment, students receive two lessons addressing myths and realities around substance use disorders, as well as information about different types of drugs, how people become addicted, and the written stories of individuals in recovery. The lessons are followed by an assembly where community members who have dealt with addiction either personally or within their families speak to the students. These events are followed by a post-survey intended to help us track the effectiveness and impact of the curriculum. Throughout the month, we also had a photo display installed at the school that Turn it Around compiled. The photos exemplify healthy ways of dealing with stress other than using drugs and alcohol. The Coalition serves catered lunches to Charlestown High School students who live in Charlestown every Friday. We started this initiative three years ago because local students were significantly underperforming, both academically and behaviorally, when compared to their peers from other neighborhoods. The lunches are an opportunity for us to connect these students to tutoring and social services, while keeping an eye on their academic records. We also bring in guest speakers from community agencies. We connected with many of our current Turn it Around members through the 02129 program. In keeping with our commitment to enhancing protective factors and reducing risk factors to prevent youth substance use, the Coalition has been organizing and facilitating school-based prevention programming since 2007. We use the Botvin LifeSkills curriculum, as well as slightly modified programs at the Edwards Middle School, Warren Prescott K-8 School, Harvard Kent Elementary School, and, more recently, the Charlestown Boys and Girls Club. Each year, the school based prevention curricula are adapted to meet the needs and unique scheduling challenges of the individual school. Botvin LifeSkills is an evidence based substance use disorder and violence prevention program. Theapproach is to target the social and psychological factors that lead to initial use and other maladaptive behaviors. To learn more about LifeSkills, click here. 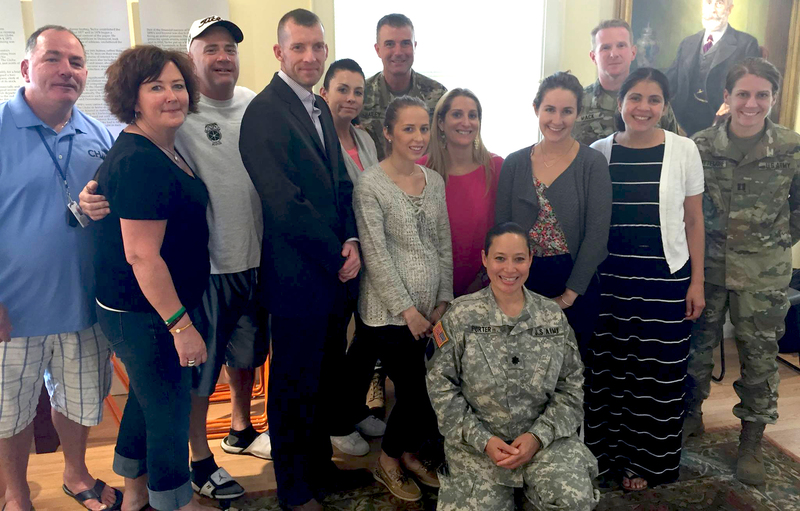 In 2015, we partnered with MGH’s evidence-informed Stay in Shape program to teach a hybrid course that merged LifeSkills with the healthy living and stress reduction lessons of Stay in Shape. Its goal is to use group activities to teach students how to improve their nutrition, health, and fitness. To learn more about Stay in Shape, click here. Developing relationships between individuals that represent and work with different racial, ethnic, and socioeconomic populations within Charlestown in an effort to address the deep-rooted racism and race-based tension and violence that exists in Charlestown, as well as developing ways to change this pattern among the younger generations. Offering an environment where, with the clinical guidance of our two community health center psychologists, group members are able to unload some of the vicarious and personal trauma they’ve experienced, as well as gain basic skills to better deal with these situations and take care of themselves. Developing a source of capable community responders to call upon when tragedies occur. (Sadly, since forming, we’ve already had two situations in which we’ve dispatched members). In addition to meeting monthly, the Trauma Response Group has participated in a Stop the Bleed Training led by MGH Trauma Surgeon, David King, MD. Dr. King used his army and medical training to develop a highly effective program that teaches members how to correctly apply a tourniquet and apply pressure to open wounds. In 2014, Charlestown High School reached out to The Charlestown Coalition for assistance in their effort to better address adolescent substance use in school. After assessing the needs within the school, the Coalition partnered with The Gavin Foundation, Action for Boston Community Development (ABCD), and the Boston Public School System’s Succeed Boston to develop a program to address this need. This collaboration supports students returning to CHS from the Succeed Boston Program as well as students identified by CHS’s Student Support Team to offer enhanced educational and treatment services for adolescent substance use. Using SAMHSA’s Motivational Enhancement and Cognitive Behavioral Therapy curricula for adolescent cannabis use, a weekly afterschool group is offered to these identified students. Group sessions are held Tuesdays from 2:00 to 3:00 at CHS. Students who successfully complete this program are given a Summerworks job through ABCD.